Vintage sewing machine - Singer New Family. 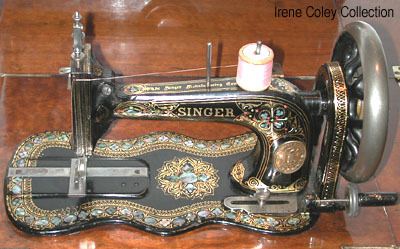 Introduced during the mid 1860s, the Singer New Family is a commonly found machine today. Production numbers ran into several million, and the design was widely copied by other manufacturers during the late 19th - early 20th century. Handcrank, treadle, and cabinet versions were available.